On 27th October 2018, we witnessed the very highly anticipated Inter House Volleyball Competition 2018-19, for which, all the supercharged players and eager spectators were waiting for. After a fortnight of practice of vigorous hard work, all the players regained their skills through the coaching given by Ritesh Sir and Hitesh Sir. For this grand event, there were four equally competitive house teams of Satyam, Shivam, Sundaram and Suhradam houses, categorised into three groups: Sub-Juniors, Juniors and Seniors. On the bright afternoon of 27th October, the first match of the competition began by the whistles of our dedicated referees, Ritesh Sir and Hitesh Sir. The first match was between Satyam and Suhradam House in Sub-Juniors in which Satyam House snatched the victory by 2-0. 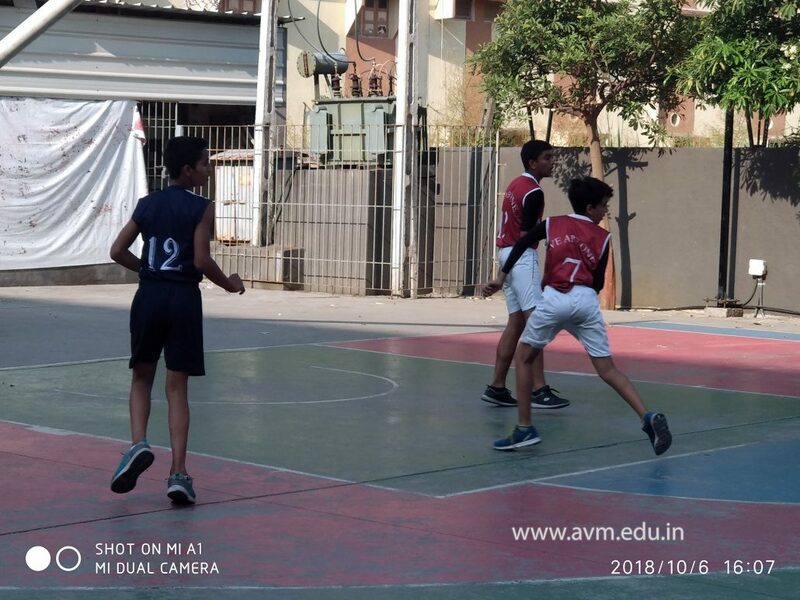 On the same day, the second match in the Sub-Junior group was between Shivam and Sundaram House, in which Sundaram House acquired their place for the finals. For the third place in Sub-Junior group, in the contest between Shivam and Suhradam House, it was Shivam House that won making the sky Blue. For the Finals, it was Satyam House that defeated Sundaram House, building a crescendo among the young cheerful audience. Moving on towards the Junior group, the competition started with Sundaram House competing with Satyam House. Against all the expectations, Sundaram House grabbed the miraculous victory in the decider set. Later in the tournament, the next match was fixed between Shivam and Suhradam House. The match started with a great competition leaving the audience dumbfounded. As the match proceeded, the intensity of clash grew exponentially. But it was the Blue Army that claimed the victory by 2–1. In the third place match between Satyam and Suhradam House, Suhradam House comfortably won the match. The venue got even more beautiful with a tender glow of Crimson Red later in the evening and the night lights were put on, brightness of which pervaded through the whole arena. In the centre of this, there was battle between Shivam and Sundaram House in which Shivam House won the finals by 2 – 1. In the next category of Senior group, the first match was played between Satyam and Suhradam House. It was Suhradam House who won the match comfortably by 2-0. The second match was between Shivam and Sundaram House in which Shivam House grabbed the victory by 2-0. It was the time for third place match between Sundaram and Satyam House. This was a nail biting match in which the winning team didn’t lose hope after losing the 1st set, rather, they continued their victorious trail by winning the match. The time then came for Finals which was much awaited and was to be battled between Shivam and Suhradam House. Players were rapt with bubbling excitement, oblivious to the circumstances, they played the match to their fullest but it was Suhradam House who won the match with a perfect score of 2-0. AVM Volleyball Team brings a new shiny medal home! On the sixth of October our school participated in the CBSE Cluster – U-17 Volleyball Competition 2018-19. On arriving at the venue, Shri Swaminarayan Mission School, we were informed that our match was the first in the tournament. But to our disappointment, our opponents, had been unable to arrive on time leading to a delay. Finally, when the match took place, we were able to extract an easy win by 2-0. Our next match was against Shree Satya Sai School. Unfortunately, the match was in the afternoon’s scorching heat. Due to this, the game turned out to be a test of our perseverance and stamina. In the end, the game fell in our favour and we secured victory by 2-0. This concluded the play for the day. On the next day, we arrived confidently supported by our previous wins. For our next match, we were up against Divine Child High School. Due to our in-form gameplay and confident and zealous disposition, we were able to grab victory in straight sets, propelling us to the semi-finals. In the semi-finals, we faced Bright International School. The rising competitiveness enforced us to up our game. The semi-finals were exhilarating and breath-taking. We managed to gain a 2-0 advantage in the beginning but our opponents rejuvenated their gameplay causing our confidence to falter resulting in them taking the set averaging the score by 2-1. Our hopes began to shatter but then our enthusiastic coach Ritesh Sir took the initiative of revitalizing our motivation. Back in the game with charged mind-sets, we stole the next set from the claws of defeat, snatched triumph with a final score of 3-1 projecting us straight to the finals. Unfortunately, we couldn’t give our best in the finals and ended as the silver medallists and the runners up of the year. In the past, our school team had managed to repeatedly win bronze. But this time around, with the grace of our founding father, Param Pujya Hariprasadswamiji and by the immeasurable hard work, dedication and sincere efforts of our coach Ritesh Sir and support staff, we were able to take it up a notch. Our team would like to dedicate this achievement to all those who have laboured behind us day and night to make this possible. 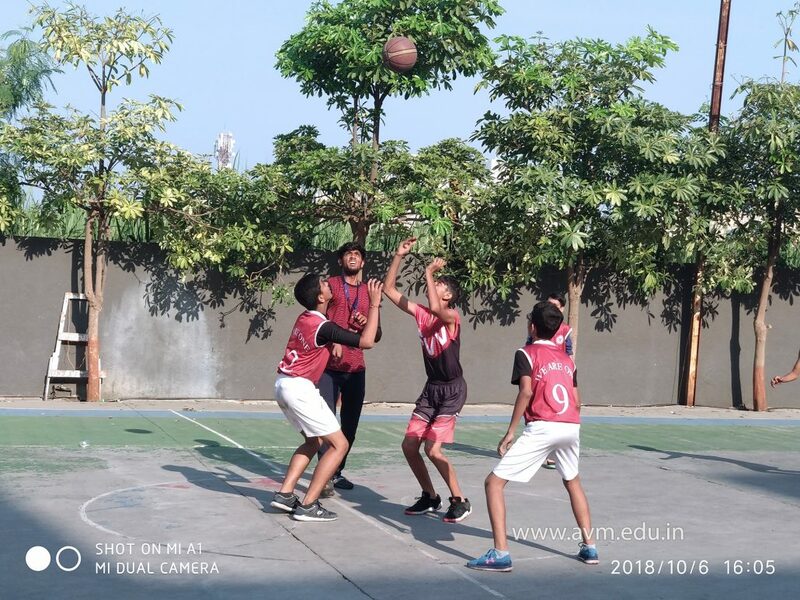 On October 6th 2018, we participated in the Khel Mahakumbh – U-14 Basketball Competition 2018-19 at Vasishtha Genesis School. We arrived at the location ready and fully energized. Due to a team not reporting, we got past our first match with a bye. Finally, after many hours of waiting, our game was against a very good team of the hosts, Vasishtha Genesis School. We began the game very positively, but somehow during the game, we lost our edge. Despite trying hard, we lost the game by 4-10. We were glad to have had a chance to represent our school and came back with great learning experience. Parmeshbhai got selected to play at the State-level Competition. Congratulations to Bankim Sir and Jignesh Sir for such a great effort. When it comes to basketball, it is certainly not for the lazy and unfit. It is a very competitive game, requiring a lot of vigour and stamina. But thankfully, it was not impossible for us. 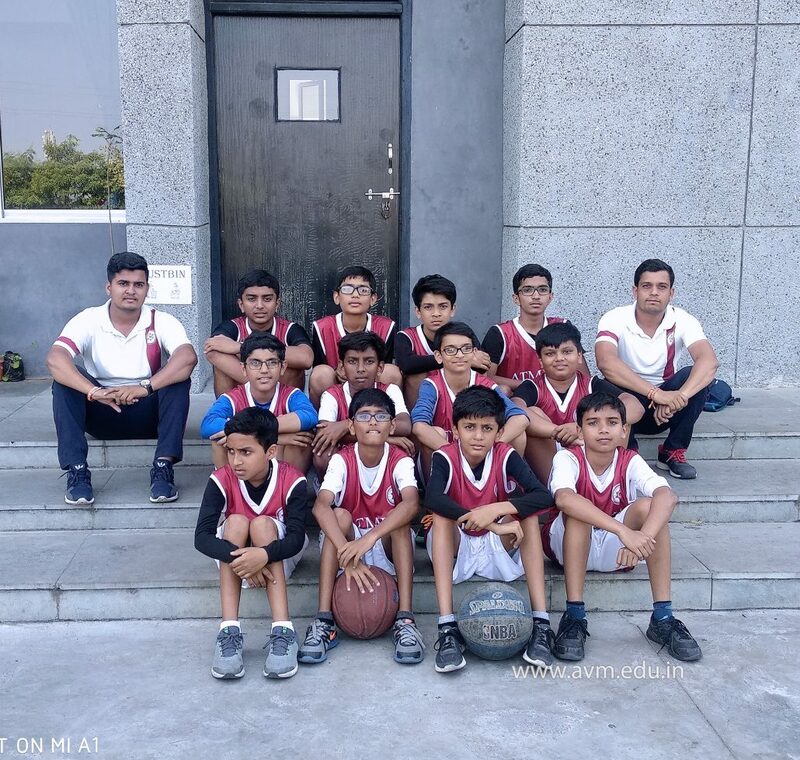 On 4th October 2018, our school team participated full of fire and fury in the Khel Mahakumbh – U-17 Basketball Competition 2018-19. It was expected to be fascinating because the level of competition was great. The team was led by none other than our sports captain, Dhrumilbhai himself. The draws were done and the fixtures were ready. Our first match was to be played against Essar International School. The score was 0-0 until the first timeout was taken. Then, our team gave its heart and soul to secure our place in the quarter-finals with a score of 10-1. The quarter-final was against Vidyamangal School. It was going to be a tough time as the match was to be played at noon. But rain or shine, we inclined to victory. At the end, the scoreboard said 22-2. It was a great team effort securing our place in the semi-finals. Due to unexpected delays, the semis were postponed to the next day. 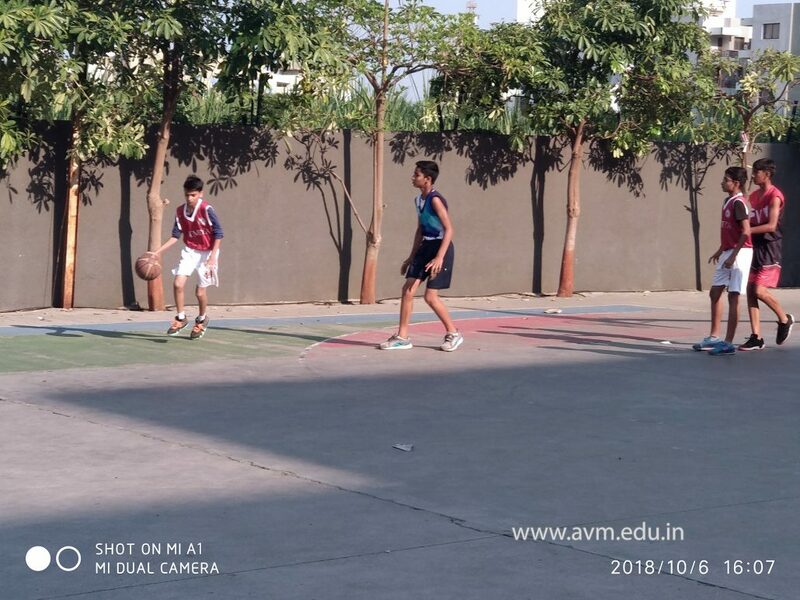 On 5th October 2018, we played the semi-finals against Vasishtha Vidhyalaya. Despite great efforts, our team lost with a score of 13-6. But in no condition did we want to return empty-handed. The third-place match was fixed against P. P. Savani International School. Lots of shoots, free throws, blocks, fouls, lay-ups. At the end, the match was in our favour, the score was 23-10. We secured the third place and won some cash prize. To add icing to the cake, Dhrumilbhai, Harshilbhai and Tirthbhai got selected to participate in the state-level competition. Congratulations to Bankim Sir, Jignesh Sir, Hitesh Sir and the captain and his team, for such an excellent effort.